In today's fast moving world of business the most powerful means of communication to your customers is your signage! If you require the most modern looking fascia, a simple directional sign, a complete exhibition stand or just a poster, our experienced workforce can advise on the most professional and effective forms to meet your needs. Located in Alicetown, Lower Hutt - Wellington. We are a well established company with many years experience in the sign industry with a long-standing reputation which has grown by providing customers with what they want, when they want it. 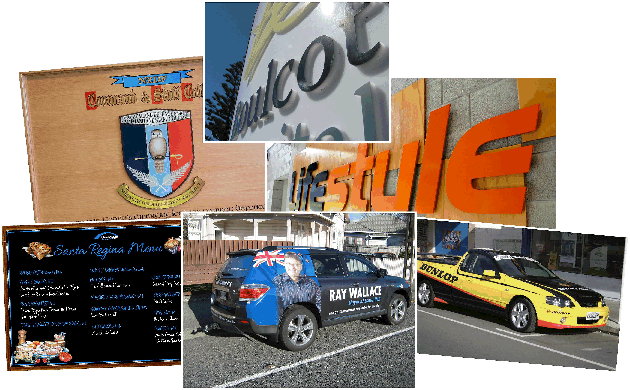 For great sign service from honours boards to building signage you cant beat Martin Signs. In business for over 30 years and counting! Here are just a few of our clients projects.